The Dvarsh language is explained and elaborated in two references from Stikmantica. 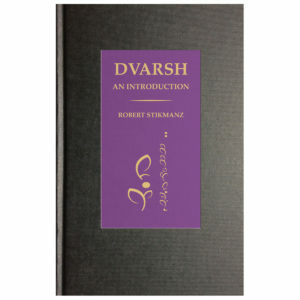 Dvarsh, An Introduction, by Robert Stikmanz, offers a practical guide to the language, including extensive vocabulary essential grammar, and the first formal description of dvarsh culture and society. Rigorously yet playfully constructed, Dvarsh, An Introduction is both a solid reference and a conceptual delight. First published by Stikmantica in December 2017, it has become the touchstone for beginning studies in Dvarsh language and culture. Dvarsh Workbook, Beginning Exercises for the Extraordinary Student, by Robert Stikmanz, contains a set of short exercises focused on simple verb tenses and essential vocabulary. The workbook works well as a companion to Dvarsh, An Introduction, but it can also stand alone as a foundation in basic reading and conversation skills especially useful for travelers through imaginary realms.